We love pugs and we love tattoos, so we thought why not mix the two together. That’s how Lucky Pug was born. If you love: Pugs, Tattoos, or both (like we do), you’ve come to the right place! Lucky Pug is dedicated to those who share these interests and would like to share their awesome pug tattoos or just simply browsing. We aim to have the best & most unique collection of pug tattoo pictures on the web. In order to accomplish this, we need YOUR help and would love to see what you have got! Please go to our submission Page and send away! Thanks for visiting Lucky Pug and hope you enjoy all our pugtastic tattoos! 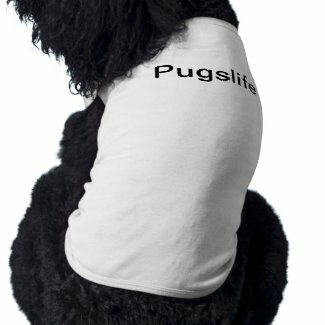 Also Check out our pug tshirts in our shop.